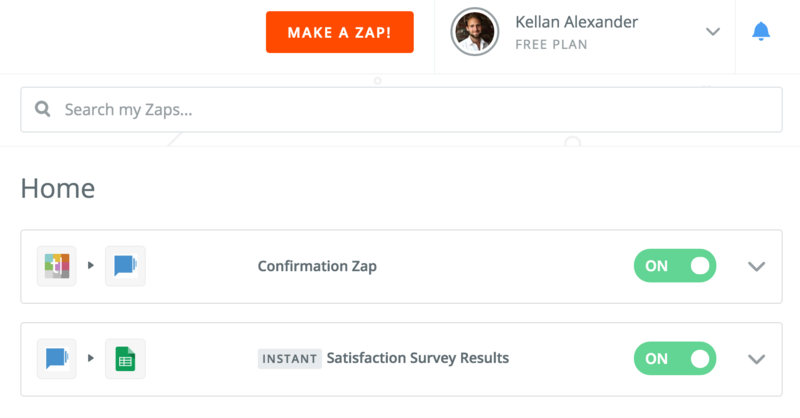 We’re excited to announce first class Zapier support through the new ‘Call Zapier’ RuleSet. For those who aren’t yet familiar, Zapier allows anyone to integrate TextIt with over 750 other apps like Google Sheets and Slack without writing a single line of code. Distribute and verify coupons and vouchers via Google Sheets. Alert your Slack channel of a flow response. Add contacts who complete a Typeform embedded in your website to a flow. Add new Salesforce contacts to flows. The TextIt Zapier app currently has one action and one trigger, though we're happy to explore additions based on your feedback. If you haven't already, head over to Zapier to discover more use cases and sign up for a free account. 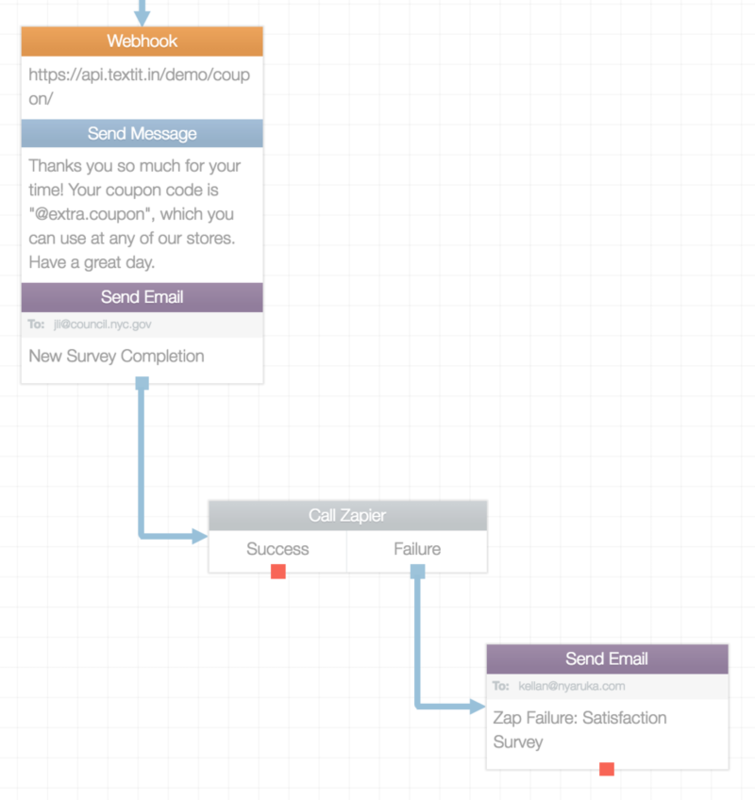 Have a workflow you need to automate, but aren't sure how? We're happy to help. Questions? Comments? Let us know! We love hearing from you.